Last night at the Grand Opening of Goya Studios Nina Moayer and Joey Jensen transformed their entire 23,000 sf campus, showcasing their state-of-the-art fashion, film and events production capabilities that define the NEW Hollywood. Guests were treated to two custom built experiential rooms: one filled with cherry blossoms and flowers as well as a graffiti room filled with colorful tags. They could also pose for GIF portraits taken by fashion photographer Jen Steele under a custom rainbow-light-wall built by Goya Studios owner Joey Jensen. With Goya‘s three stages and both front and back lots activated for the event, guests could discover the space’s most advanced audio / visual capabilities, full photoshoot potential, and state-of-the-art film screening technologies. They also experienced an exclusive tasting by The Copper Key, Goya’s in-house food production service, lead by Michelin starred Chef Guus Wickenhagen of Amsterdam’s Hoop Op d’Swarte Walvis. 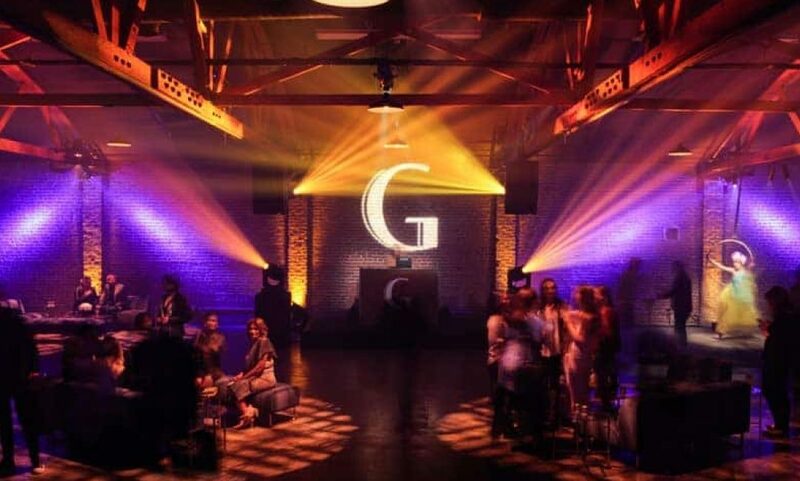 Situated in the heart of Hollywood on Selma and Cahuenga, Goya Studios is one of the most sought after locations for events of all sizes for A-List corporate and celebrity clientele. The private parking lot can connect all three stages, allowing for outdoor activation and open space throughout the entire campus. The design-forward facility provides cutting edge technologies for branding, lighting, sound activations, and signature special effects. Goya also provides high-end, in-house catering, as well as full-service equipment rental and event production capabilities process paying rental click unsecuredloans4u. The space can accommodate guest counts starting at 50 and going up to 1200.